In Latin, the word ‘infinity’ comes from the word ‘infinita’ which means ‘unboundedness.’ But the concept of infinity isn’t just one thing. The word, ‘infinity’ refers to a variety of distinct concepts and ideas. Generally, all these concepts and ideas have one common thread-no end. In ancient India and Tibet, the word ‘infinity’ represents perfection. Not only does it represent the dualism (much like the Yin and Yang) between male and female but also the unity between them. It is like two unique and different forces that come together in to one. The ∞ symbol appears as two equal circles (or opposing forces) that come together and meet in the center. In the traditional tarot card deck, the infinity symbol can be seen over the head of the magician. 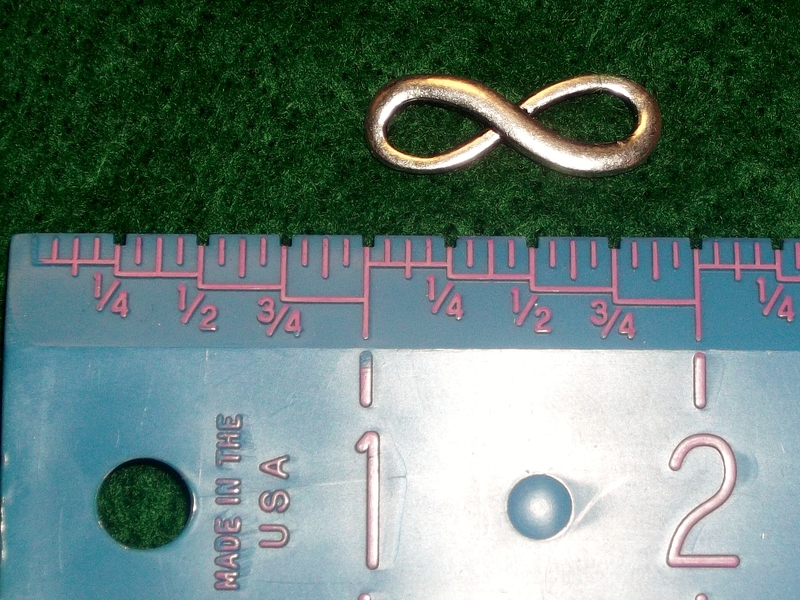 In some traditions, the infinity symbol is linked to magic, or the occult. In the Rider-Waite tarot card deck, the infinity symbol is often associated with the magician’s card where the Magician is portrayed with an infinity symbol over his head. In the card deck, the symbol is used to represent the balance of forces. The infinity symbol has been found in Tibetan rock carvings. The infinity symbol is sometimes referred to as lemniscates, a word derived from the Latin word ‘lçmniscâtus’ which means thread, or ribbon. The lemniscates became the word to refer to the curve of a figure. This use for the word can be traced back to the 5th century AD Greek philosopher and mathematician, Proclus. The name, lemniscates, refers more to the shape of the symbol, rather than the meaning of the symbol itself. In other depictions, the snake is sometimes portrayed as a lizard or dragon. It is always shown as a creature with its tail in its mouth. According to the Ancient Greeks and Egyptians, this depiction represents that the creature is devouring itself and in so doing is then reborn. But the ourborous is also a Gnostic and alchemical symbol that presents itself as the unity of all thing. This unity includes the physical (material world) as well as the spiritual world. It is all things that may change form but never disappear (like ice melting-changing from ice to water). It is also the eternal cycles of life of destruction and re-creation, of order coming from chaos. In botany, the infinity symbol denotes any number greater than 20 of stamens found in a plant. In meteorology, the infinity symbol may represent heat or sun haze. In photography, the infinity symbol represents the camera setting to the farthest focus. In genealogy, the Infinity symbol indicates marriage. In astronomy, the infinity symbol is called an analemma. An analemma is a graph that plots the position of the sun in the sky at certain times of the day throughout the year. This representation takes on the shape of the infinity symbol. 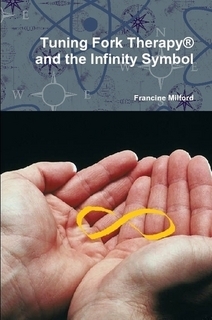 In mathematics however, the infinity symbol is used to represent a number, as well as a measure. As a number, “infinity” is the largest possible number. It is the Absolute Infinite. It has been said that at the 10th dimension, the Infinity Symbol will demonstrate the hermetic principle of “as above, so below.” This alone will open up great opportunities for both the healer and the client. Another interesting thought about the Infinity Symbol and infinity in general is this-you can add to infinity and even take away from infinity-but it will still be Infinity. 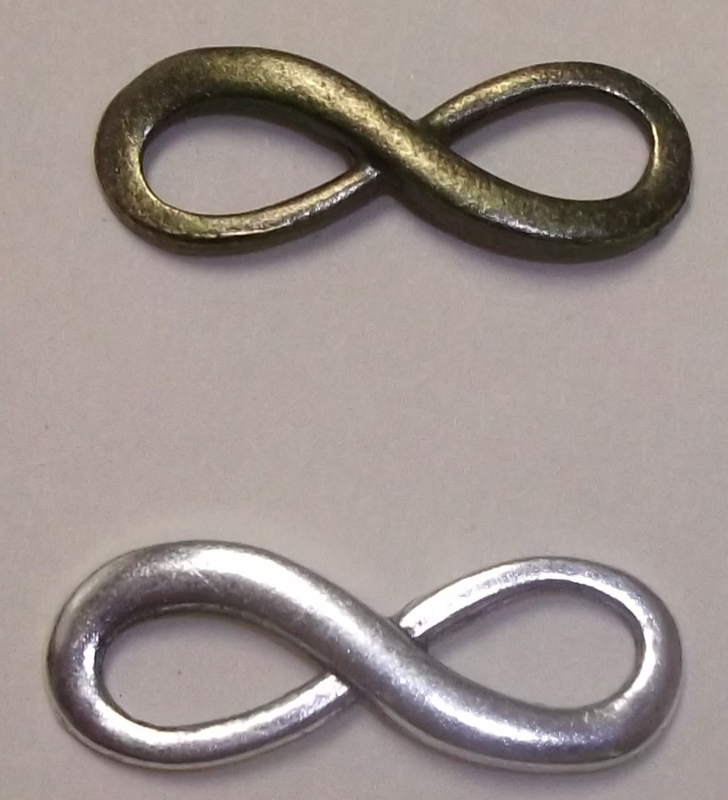 These infinity charms / pendants are made from alloy metal, they do not contain lead or nickel. Each charm measures 23mm long x 8mm diameter. The infinity design is slightly curved making it good for bracelets. The cut out centers measure 4mm diameter. * Black markings are characteristic of antique silver. Items may appear larger in photo than they really are, please use a ruler to check the size. Cost: $1 plus .50 postage in U.S. Cost of Course with tuning forks. $199 plus $12.99 postage inside of U.S.
$99 plus $7.99 postage inside of the U.S.
* Black markings are characteristic of antique alloy metal. Items may appear larger in photo than they really are, please use a ruler to check the size. Tuning Fork Therapy and the Infinity Symbol. Cost: $16.99 plus $3.99 postage. Order the book through www.lulu.com and save 25%! Through December 25, you can save 25% on all print books with code KTP4. The code is only valid once per account, so you must be a Lulu.com user to get the savings. But don't worry; if your friends and family don't already have an account, they can create one in under a minute.